As the first trading company to offer fixed and mobile bottling, we have over 20 years of experience in trading and bottling the finest wines. Our company, based near Bordeaux, is devoted to finding and bottling wines that match your requirements. We use our expertise and close partnerships with wine producers to bring you the finest wines. Chateaux Domaines et Millesimes’ goal is to ease access to the world of wines, a world which from the outside can seem complex. Our ranges target a large audience by offering accessible, easy-to-drink brands and Château wine. Selected from the best vineyards, our “tailor-made offer” ensures that we have something for all tastes and for every occasion. Our ambition – With our high quality standards and easy-to-consume products, we work to give consumers a chance to discover French wines. Our particularity – We select, elaborate, blend and create wines that will meet your expectations, bringing pleasure and full satisfaction to you and your customers. Our philosophy – Our love for the terroir and our quest for high standard quality drive our choices as well as your needs and customers’ demands. Wines adapted to your demands and these of your customers. We master blending thanks to the experience of our oenology consultants. We comply with our “quality commitment charter”, a guarantee of trust and security. Our bottling lines allow us to ensure optimum reactivity to your needs, our production capacity is up to 10 million bottles a year. We stock wines in a controlled atmosphere in our biologically-conditioned cellar. We work with first-class suppliers of bottles, corks, and labels to guarantee high quality standards and reasonable costs. 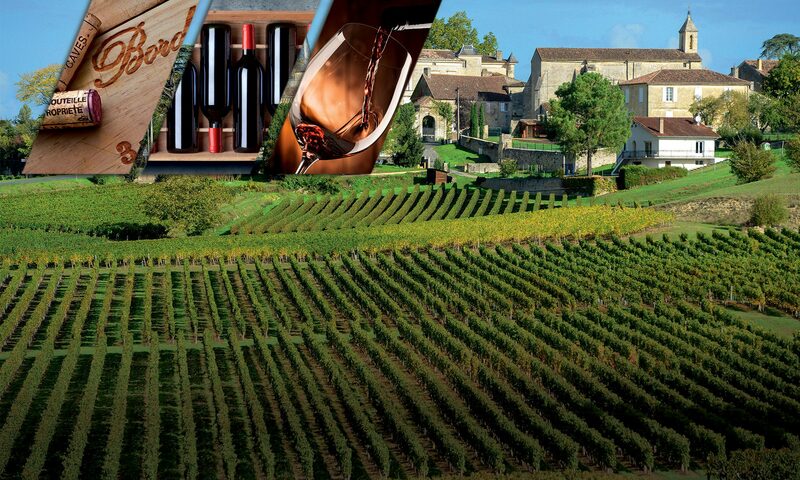 Chateaux Domaines et Millesimes are certified by Ecocert for the production and commercialization of organic wines. Châteaux Domaines et Millésimes is certified by Ecocert for the production and sales of Organic Wines. In addition, it has the accreditation for Vegan Wines guaranting the non-use of animal by-product (such as in wine clarification). Chateaux Domaines et Millesimes is one of the few wine merchant in Bordeaux to bottle its wine with its own production equipements. Thanks to its subsidiary “PRC Embouteillage” we manage all the stages of making your wines. We design your product internally thanks to our designer. Bottle, cork, capsule, carton, wooden box, label… Our designer and sales team has been trained to master all our supliers technology to offer packaging solution that fits your requirements and comply with our production equipments. Thanks to our mobile production equipments we go straight at the very heart of the vineyard estates in order to bottle your Chateau wine according to your requirements and with the possibility to write on your wine label the words “Mise en bouteille à la propriété” (bottled on the property)”. Bottled in our cellar your wine will be transported from the vineyard to our cellar by the carrier called “Veynat” a company certified ISO 22000. It will be stored in our storage tanks, awaiting for its botteling under our supervision. Need Information? A question? Please contact us with our contact form!